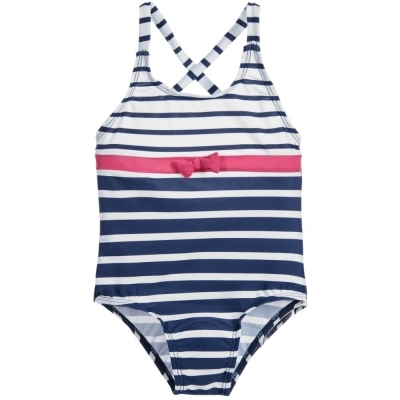 Little 1 piece swimsuit, for girl. Navy-striped white on the upper part, the lower part opt for inverted stripes. Both parts are separated by a fushia strip enhanced by a lovely bow.